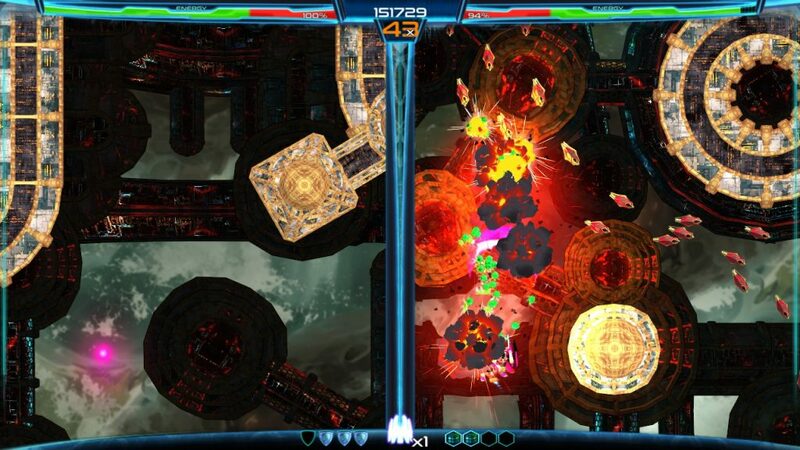 Dimension Drive is a good shmup game that I have a love-hate relationship with. A total of 26 levels (13 in normal, 13 in NG+) spread over three worlds, with an interesting story, a good aesthetic, and it’s mostly clear. It does interesting things, it’s pretty cool. 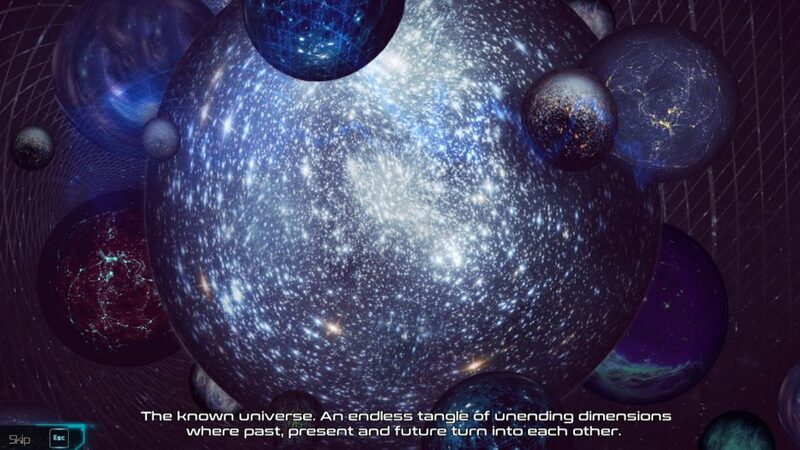 My brane hurts just looking at this representation of the multiverse. But oh boy, am I bad at it. Which both amuses and frustrates me, because I can quite clearly tell it’s not the game’s fault. It’s giving me all the clues, but I can’t save myself from, for example, bashing into a wall. Because, where I’m looking, there isn’t a wall, but where I should be looking, there is. Oh. Yes. That probably needs a bit of explanation. Dimension Drive is the story of the pilot of a multidimensional space fighter, the best in the multiverse, trying to save said multiverse from a nigh immortal conqueror who’s had millennia of experience at conquering entire dimensions (And, naturally, the resources of several of those dimensions.) This interesting twist further extends into gameplay with two screens of play. 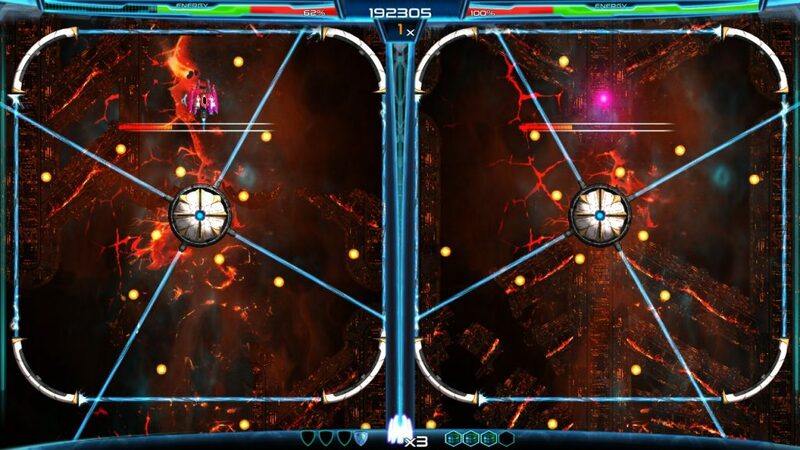 One is one dimension, the other’s another, with different walls, enemy patterns, and powerups. Flipping between the two is essential, both for bringing up that score multiplier, and avoiding what would be seemingly inescapable obstacles if we were limited to one or the other dimension. Killing lots of things dramatically and having fun, about five seconds before I crash into that square outcrop on the left. Foolishly. It’s interesting, because, difficulty wise, the individual screens are about on par with your average western coin-op (It doesn’t get into bullet hell territory until much later on), with relatively simple bullet and enemy patterns. But together? Together, they weave a web that has you nervous. Making mistakes. Clever stuff. And while it doesn’t truly take the gloves off until later on, it still has segments where care is very important. 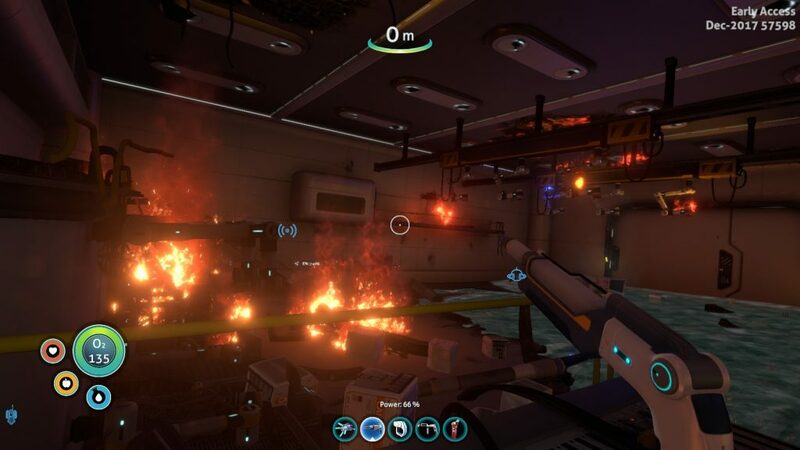 Like level 3’s trench run through a collapsing and exploding space station. Considering this, considering the score attack nature of the game (with leaderboards and all), and considering the New Game + , the game at first seems short, but what it’s doing is using limited tools to great effect. Switching worlds. Flipping round. Picking good weapons for the level (as later weapons aren’t always more useful, they just expand your options), or trying something new. I like Dimension Drive, its music, an at least okay story with some twists, and, of course, its own clever twist on gameplay. But boy, I wish I was better at it! Another incentive to come back to earlier levels is that some tools make earlier bosses easier. …Aaand now I’m dead. LET’S DO IT AGAIN. …Much better. 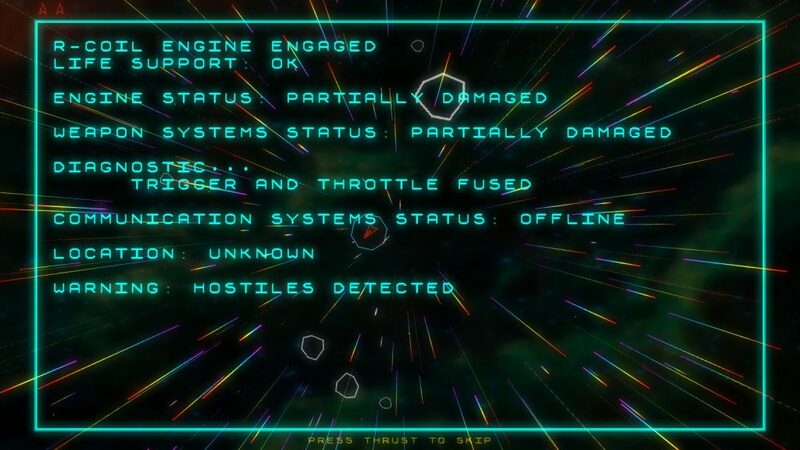 This is what you might call the “Executive Summary” of R-COIL, a take on Asteroids that I’d covered previously. An interesting take, because the thrust and weapon systems on your little ship have, through terrible circumstance, been fused together. 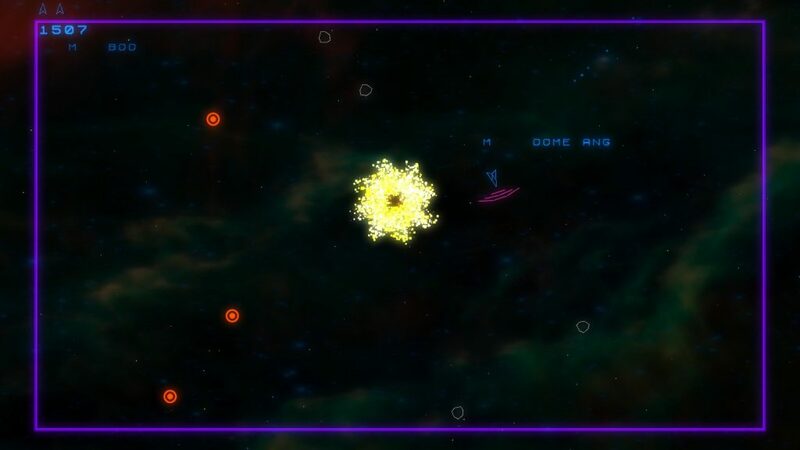 And, as it turns out, weapons have a lot of recoil in the largely frictionless depths of space. Cue the main challenge of the game. Visually, the game is quite polished, quite clear, quite accessible. Taking from the vector drawn school of old arcade games, there’s nonetheless colour and pizzazz to the game, and the ability to turn off various jitters, jumps, and deliberate aesthetic glitchiness if it hurts the eyes is a very pleasant feature. The sound, similarly, has improved quite a bit since last time, keeping that 8-bit aesthetic while not being painful to the ears. So far… So good. In other changes… Well, it must be noted that mouse and gamepad play are, due to their control scheme, somewhat different experiences. 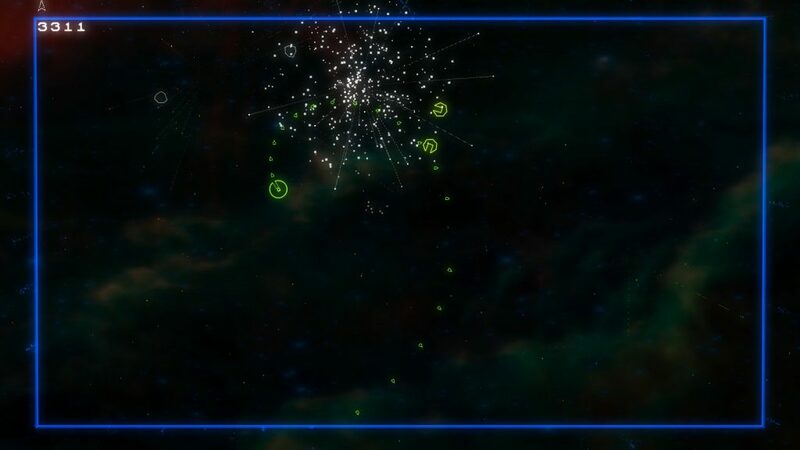 A gamepad is highly recommended, as it affords more granular control over, say… Aiming than the mouse, due to the fact that, with a gamepad, you’re turning in the direction the left stick is pushed toward (and the rightmost face button shoots or thrusts), while, with the mouse, left and right movement turn the craft, and the left mouse button shoots or thrusts. Er, that’s Boomerang. Screenshots don’t capture quite how chaotic this can get, sadly. Overall, though, it’s one heck of an interesting experience, albeit a twitchy one, where even powerups can be double edged swords. Yes, okay, the Cloak means enemies won’t specifically target you, because you’re invisible. Of course… You’re invisible, relying on your thrust and bullets to see where you are. Hence the screaming at the start of the review. Better weapons are good, but often have more recoil, while different shields… Ah, there comes a real balancing act. Do you rely on the tatters of your rotational shield, hoping for something better to come along, or do you take that front deflector, good at blocking front shots, but absolutely useless at protecting you from one hit death, and the loss of one of your three lives, if you’re not paying attention? Other shields exist, but each has their ups and downs. Sound worrying? Don’t worry, there’s also a Stress Free mode, in which you can die as many times as you like, and still get to grips with things… Or just have fun blowing things up and being blown up in turn! And that, in a nutshell, is R-COIL. While not officially on Steam until next February, there is an open beta of the game available both on Itch.IO and Steam, and, if you like interesting, hectic twists on older formulae. I *knew* I shouldn’t have gone for the cheap cabling between the guns and engines! The Mad Welshman is still screaming. Maybe just a little. But it’s a good kind of screaming. 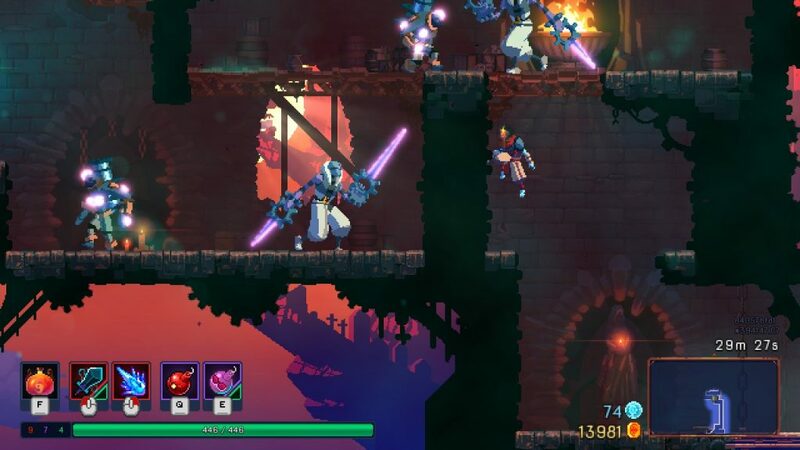 It’s funny, sometimes, the things you have to think about in a game like Dead Cells. 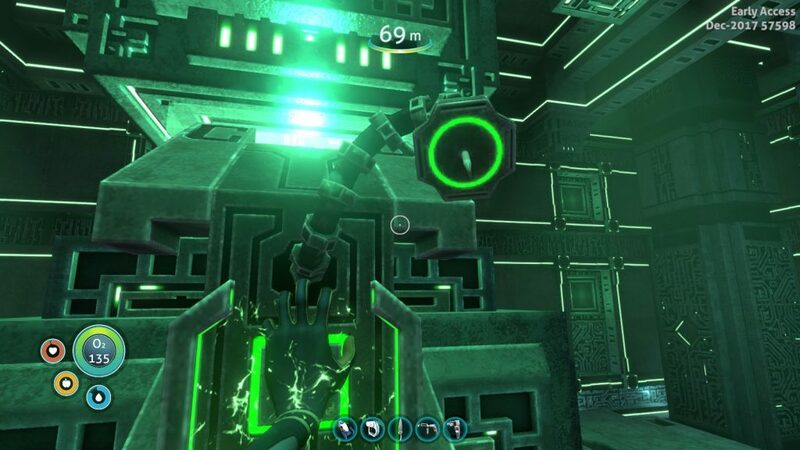 After all, sooner or later, the player’s going to have trouble getting new blueprints, or collect them all. Thankfully, I have discovered that yes, Motion Twin have thought of both aspects, while continuing to improve a game that I’ve already been liking so far. See… I *told* you I’d get closer to that goal of getting all the lovely bubbly vials of cool things! Soon, my pretties. Soon. 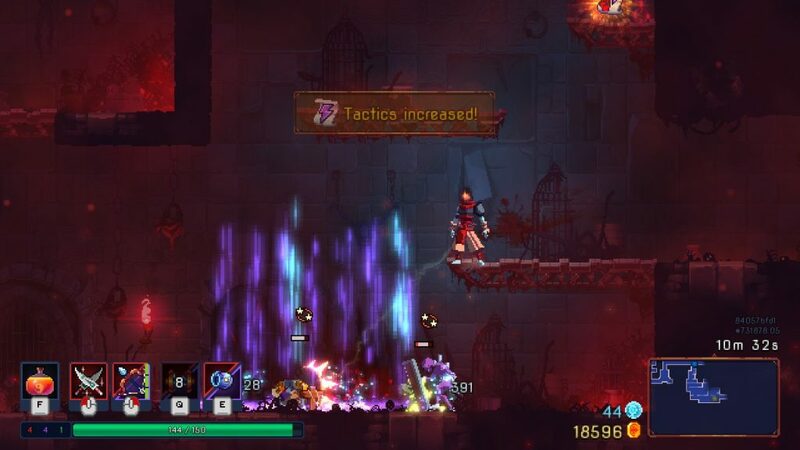 When last I looked at Dead Cells, quite a few months back, it was already shaping up to be a characterful, clever 2d platforming slash-em-up with a lot of depth, paths, and ooey goo to enjoy. And since then? There’s been a lot of changes. And you know what? They’re good. 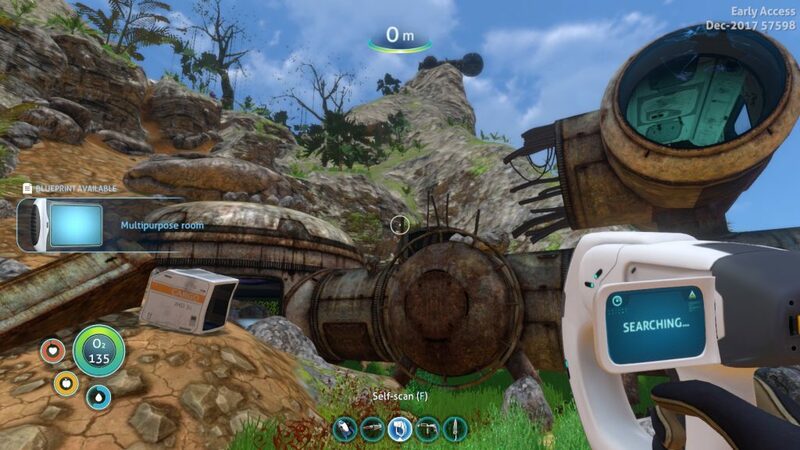 The new levelling system, for example, balances a concern that the older system had, where you could go for damage, health, or ability, but could level yourself into a corner. This time around, every upgrade path gives you some health, and there’s good reasons to take any particular level up, from damage boosts on killing enemies, to improved parrying with shields. Similarly, some upgrades allow for selling things you don’t want on the spot, reshuffling the shop (for a price), a Daily Challenge mode where you try to balance getting through a level quickly with murdering the Best Monsters, and new areas galore. It encourages with its blockages, rather than feeling like a limitation. Sounds like a contradiction, I know, but somehow… It works. Similarly, Elite enemies are a thing you can choose not to engage. Hit ’em, and you fight ’em. 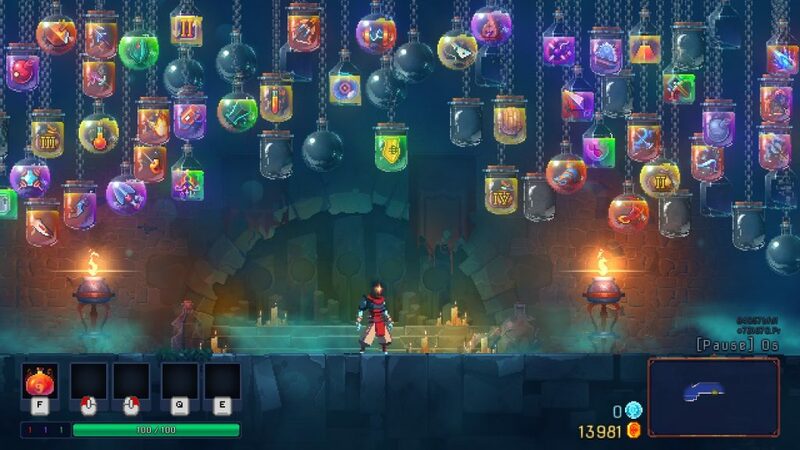 Avoid them, and, okay, you miss out on some lovely Cells for unlocking new weapons and abilities, but you wouldn’t be avoiding them if you didn’t think that maybe they’d be too much for you right now. The things I’ve said previously, about the cool, disgusting sound design, the goo, the interesting visual design, and the twitch, remain the same. The aesthetic is awesome, the game mostly lets you deal with it on your own terms, while encouraging weapon experimentation with synergies and special abilities, and… Well, I liked it then, and I still quite enjoy it now, even where I am, pretty late in the collection game and hunting for the next step forward. The briefest of glimpses of an area recently added, the Clock Tower. Suffice to say, it was brief because I was murderised shortly thereafter. 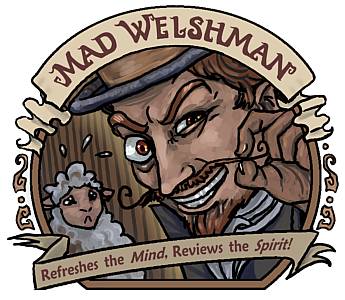 The Mad Welshman is running and running to stay in place, oh, what a mixed up world this is! Ah, the noble highwaypeople, secretly nobles or derring doers! Oh, wait, no, that wasn’t quite the way it went, generally speaking. 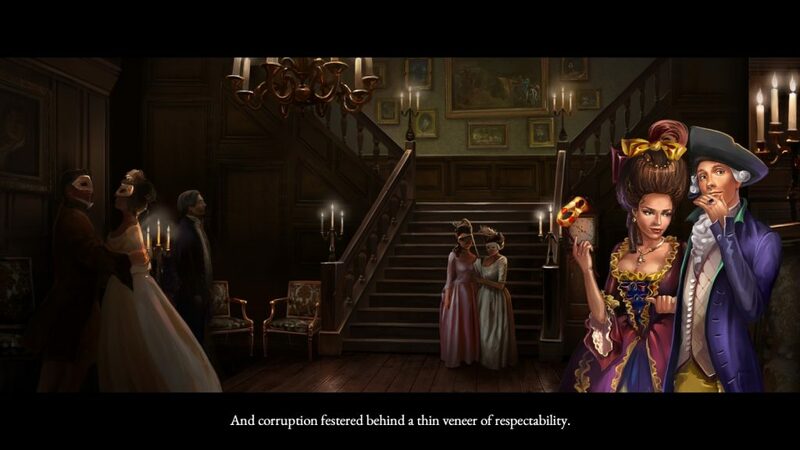 But there is a vast literary tradition of the noble turned criminal for Good Deeds, and this, generally speaking, is what Shadowhand is about. Also Solitaire. See? Corruption. ‘Sright there, and we’re gonna fight it, as Lady Cornelia Darkmoor, aka… SHADOWHAND. 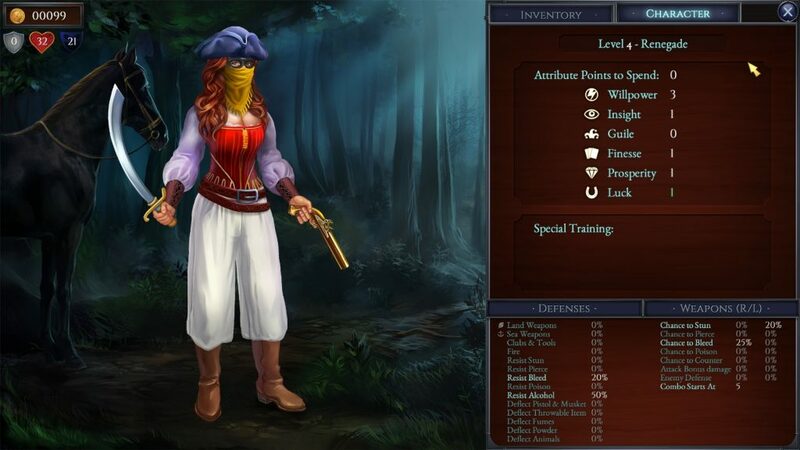 Shadowhand is an odd mix, and one I’ve only seen occasionally in the past: A solitaire game, with RPG progression, inventory, and special abilities, and, because RPGs do, generally speaking, need a story, a story about a noblewoman who, at first, dons a highwayman’s costume to find her maidservant, but then gets drawn into deep intrigue, fraternising with the criminal element, mystical ladies in caravans, and grave-robbing, to name but a few moments. However, enjoyment of the game will really, really depend on how much you like Solitaire, that card game of trying desperately to beat random chance by putting a card 1 higher or lower than the card you have drawn into the deck until there are either no cards left in the layout (Go you, you won!) , or no cards left in the deck (Aw, boo, you lost!) Because it is very much the core mechanic here. 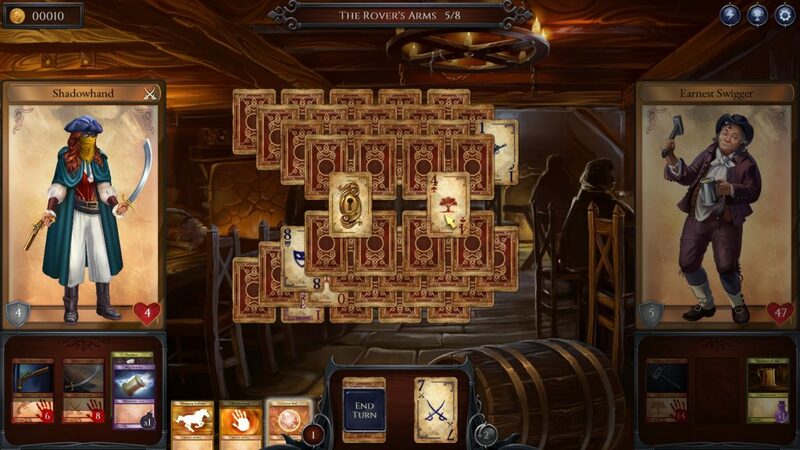 There are elements that make it easier, harder, or more interesting in those aforementioned RPG elements, like Luck, a double edged stat that presents a percentage chance of any move you make getting rid of a second, random card that you could have picked, but it remains a little bit chancy that any layout is solvable. That’s less of an issue with combat, as combat is effectively “Try to get chains while preventing your opponent getting chains, so you can wallop them harder than they wallop you.” A thing which becomes more of an issue when the hit-points and defense keep going up, the weapon damage keeps going up, and when a chain really hits, it hits… Either way. Attacking ends a turn, but that, also, becomes a consideration when items that give extra turns, or punish you with bleeding for taking your turn come into play. This, er… Fine gentleman managed to get me to hit the retry button something like 4 times. This was near the end of the second. You might be thinking, at this point, “Wow, he really doesn’t like this!” Not… Exactly. What I’m trying to get across here is that, yes, it’s a solitaire game with depth, some nice, relatively static visuals (Combat has short animations, and cards have short animations, but character dialogue is the static image of a character and textbox we know and love from Visual Novels and the like), some okay music (It fits the theme, it doesn’t get in the way, but it’s not terribly memorable, either), and a story (Which we’ll come back to in a second), but Solitaire, however it’s dressed up, given depth, or the like, remains a game that frustrates the hell out of even those of us who enjoy Solitaire from time to time. Which, finally, brings us to the story, such as it is. It is not, strictly speaking, a bad story in the broad strokes. In fact, it’s one we’ve heard a few times: A noble accidentally ends up a highwayperson, finds some corruption (In this case, her family fortune is being embezzled in some larger scheme), and decides to lead a dual life in order to halt this corruption. It’s mainly that, as sometimes happens, the story takes a backseat to the game, and the tone of the story thus suffers. Oh no, dark deeds are afoot in the graveyard, and our heroine must find a treasure map by graverobbing, while also defeating Thug, Other Thug, and the boss of the area, mean ol’ gravekeeper Doug Hole! This is kind of a shame, as, like I said, the broad strokes are the bones of a good yarn. But it’s a yarn that doesn’t flow, tonewise or in terms of pacing, and that makes me kind of sad. Never let it be said that Lady Shadowhand doesn’t take advantage of the finest of the Regency Roguery line! Overall, as I’ve pretty much been saying the whole time, it really depends on how much you like Solitaire, whether you like this or not. If you accept Solitaire’s flaws for what they are, then you have a perfectly fine Solitaire game that adds depth to the basic formula, wraps a story around it, and has some interesting additions. Myself, I’m not that big a fan, so I only see myself coming occasionally back to this. The Mad Welshman would like you to step down from the carriage gently and hand over your valuables. He also thanks you for your custom.